First, What is Web Accessibility? What Tools Enable These People to Access the Web? Finally, How Can We Make Our WordPress Theme Accessible? Web accessibility refers to the inclusive practice of removing barriers that prevent access to websites by people with disabilities. When sites are correctly designed, developed and edited, all users have equal access to information and functionality. This means that a user, regardless of age and/or disability should be able to access your site and absorb the same information as others users do. That’s a lot of people, and this is just auditory disabilities alone. 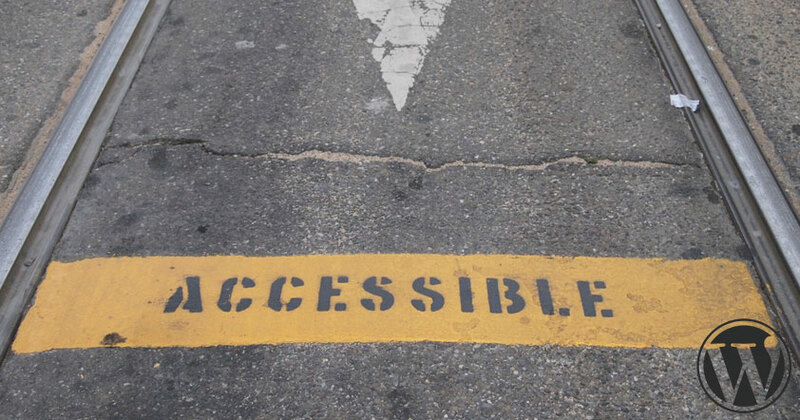 Combine that with everyone else in our list above, and you can already see all the potential users your site can be missing out on if it’s not meeting accessibility standards. For more information on how the web is accessed depending on a user’s disability, check out the Tools and Preferences section on W3.org. In the posts following this introduction, we’ll go over some plugins that may help as well as what we can do code-wise to edit/enhance our WordPress themes right that moment. Some examples of what we’ll go over are heading tags, skip links, the alt attribute on images, html structure and so on. Each post will be dedicated to a particular aspect of accessibility so we can focus on applying one change at a time. Making your theme accessible shouldn’t have to feel like tearing down the entire house and re-building.